The redevelopment of Marlborough Square in Coalville is set to receive additional funding if approval is granted by North West Leicestershire District Council next Tuesday. Marlborough Square is to be transformed from a car park into a more usable public space with outdoor seating, new trees, a more pedestrian friendly environment, a new taxi rank, public art and space for events like outdoor markets and funfairs. An extra £546,000 is being sought for the project in addition to the £1,100,605.49 that has already been reserved to create a total capital budget of £1,646,605.49. 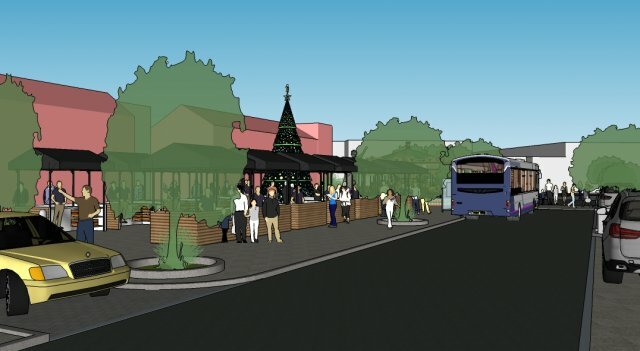 The project is part of a larger scheme of public realm works proposed throughout Coalville to improve the appearance of the town and encourage inward investment. 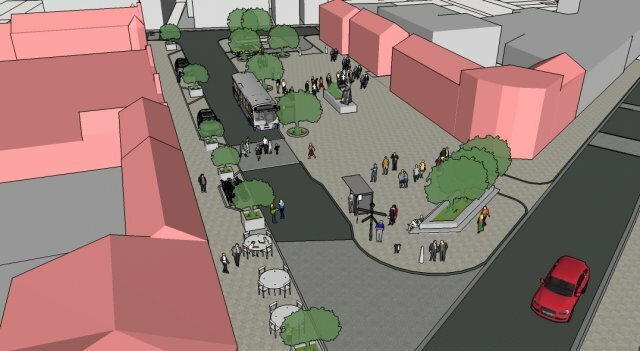 Councillor Richard Blunt, Leader of NWLDC, said: “The designs for Marlborough Square have received the support of local businesses and users of the square who want to see a vibrant public space, not just a cluttered car park.